The first known victims of prescription opioids were not hardened addicts who stole the drugs to get high. They were injured workers, whose treatment was driven by a narrative that changed the way doctors thought about pain. Now, says the physician who discovered those first deaths, a “huge counter-narrative” may be putting some unsuspecting patients in danger. Nearly two decades ago, Dr. Gary Franklin identified 32 “definite or probable” deaths of injured workers in Washington State that had been caused by opioid medication. Franklin is medical director for Washington State’s Department of Labor and Industries, and a vice president of the nonprofit Physicians for Responsible Prescribing (PROP). He was troubled that the affected workers had sustained only “routine injuries” — sprains and low back pain. “The first time he interviewed late-stage cancer patients,” he said, he found their testimony “very similar” to the victims of torture. “They’d do anything” to stop the pain. A lot has happened since 2003, when Franklin faced a hostile audience. The US has been in the throes of a full-blown crisis that has claimed more than 200,000 lives, 40 percent of them involving prescription opioids. The number of opioid prescriptions is beginning to decline. But even as late as 2015, enough opioids were prescribed to medicate every American around the clock for three weeks. With new federal guidelines and increased restrictions in at least half the states, the pendulum appears to be swinging toward regulation. But the debate isn’t over, not by a longshot. “There’s a huge counter-narrative,” Franklin charged. That narrative is driven in part by chronic pain patients who fear that they will lose access to medications they depend on, and buttressed by supportive nonprofits, as well as by some physicians who continue to question how addictive opioids really are. One of the new recruits to the “counter-narrative” camp appears to be the respected nonprofit Human Rights Watch (HRW). 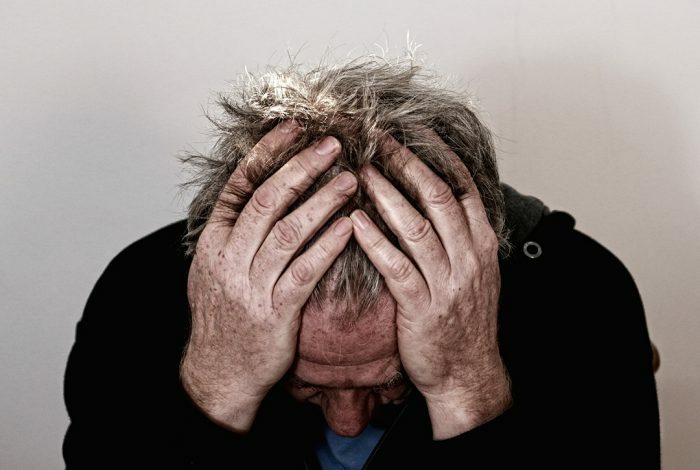 The group is still investigating the problem, interviewing scores of pain patients alarmed that they may be cut off from their medications, Diederik Lohman told WhoWhatWhy. Its full report is expected by the end of the year. But Lohman, health director for the group, makes clear that he’s been disturbed by what he’s heard. The new laws and guidelines, he contended, are intimidating many doctors who are worried that they will lose their medical licenses. What About Chronic Pain Patients? HRW got interested in the issue based on its longstanding work in developing countries with cancer patients and other terminally ill who received no drugs to relieve their terrible pain. “I worked on police abuse” in places where there was armed conflict, Lohman said. “The first time he interviewed late-stage cancer patients,” he said, he found their testimony “very similar” to the victims of torture. “They’d do anything” to stop the pain. This new culture, which emphasized that pain had been undertreated, and that opioids were safe and effective, caused the company’s sales to explode. Lohman acknowledged that none of the state laws or regulations or federal guidelines for opioid prescribers applies to cancer pain or those with terminal illnesses. Nevertheless, he said that the testimony HRW has gathered from chronic-pain patients demonstrates there’s a problem. And, he’s heard reports of even cancer patients “being denied morphine” because they were not terminal. Critics of these new restrictions believe that addiction may happen, but that it’s rare. “People who follow doctor’s orders to the letter, they don’t have a problem,” Lohman insisted. It’s been difficult to police the few doctors who are the source of most of the overprescribing. The “lie” took hold in the 1990s, after Purdue Pharma began aggressively marketing OxyContin. The company courted thousands of physicians, offering them expense-paid trips to learn about this new painkiller. It essentially changed the culture of pain management, experts say. And this new culture, which emphasized that pain had been undertreated, and that opioids were safe and effective, caused the company’s sales to explode. By 2000, OxyContin sales totaled $1.1 billion, and would climb much higher. Seven years later, Purdue Pharma pled guilty in federal court, admitting it had misled doctors and the public about the risk of addiction, and agreeing to pay $600 million in penalties. But that did not mean that Purdue and other companies had given up. Between 2006 and 2015 opioid makers reportedly spent nearly $900 million on lobbying and grants to patient groups and other nonprofits, trying to hold on to the the legislative victories the companies had won in the 1990s. Is drug company money supporting this current pushback? Lohman said that HRW does not receive direct or indirect support from drug companies for any aspect of its work. And the testimony he’s heard is borne out by other surveys of thousands of chronic pain patients who report that their doctors no longer want to treat them, or want to cut them off from the opioids they have depended on. Purdue, now facing scores of lawsuits from states dealing with the consequences of the opioid crisis, have been paying lip service to the need for more responsible prescribing and the risks of addiction. While Lohman’s concern for chronic pain patients may be entirely sincere, the arguments he makes about the risks of addiction from these powerful painkillers appear to echo the very same arguments that pain physicians, with extensive links to opioid makers, have put forward for years. Last March, 20 public television stations aired a documentary, The Painful Truth, paid for by Dr. Lynn Webster, a pain specialist with longtime financial ties to opioid makers. The documentary raised concerns that the new restrictions on opioids harmed thousands of patients. Viewers were not informed about those financial relationships or the financial ties of other physicians who appeared in the documentary. This pushback has not yet prevented stricter standards from taking hold. Drug companies have not ceased making or marketing opioids. Companies now are pitching “abuse-deterrent” products. For example, new rules for pain clinics in three states — Florida, Ohio, and Kentucky — helped decreased opioid prescribing in many counties. As of March 2018, 25 states had tightened their rules or guidelines on opioid prescriptions. The Centers for Disease Control and Prevention (CDC) in 2016 issued comprehensive guidelines, advising primary care physicians to limit the use of opioids in treating patients with chronic pain. The CDC recommends using opioids only when all other treatment options have been exhausted, giving the lowest possible doses, and continuing to prescribe them only if it reduces patients’ pain and improves how they function in “clinically significant” ways. In 2017, the CDC issued a factsheet that encouraged doctors to also curb their prescribing of opioids for acute pain as well — limiting duration of treatment to under a week, and restricting the size of doses. The CDC informed physicians that prescribing opioids for more than three months increases the risk of addiction by 15 times. Giving an opioid equivalent to 90 milligrams or more of morphine a day increases the risk of a fatal overdose by ten times. And while some doctors might fear losing their medical licenses if they prescribe opioids too liberally, those fears may be overblown. 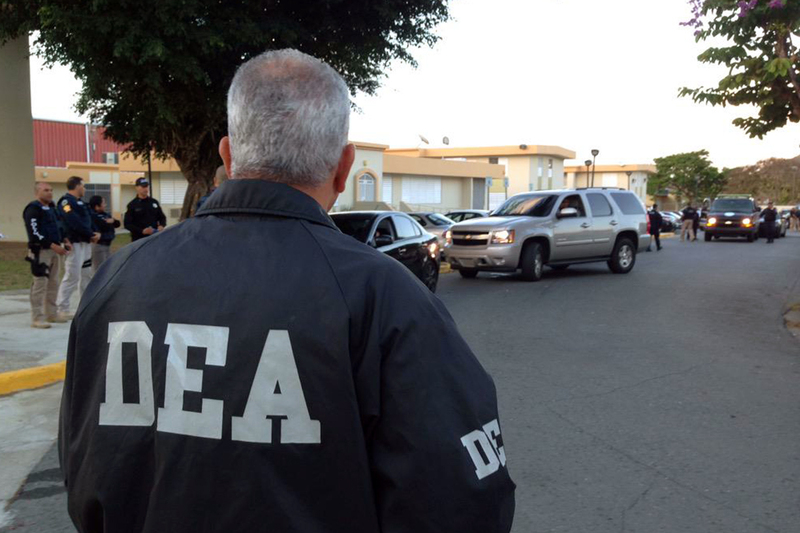 Granted, there has been more scrutiny of physicians by the Drug Enforcement Agency (DEA), experts say. But even then, few physicians were implicated. In 2016, for example, the DEA took action against 479 physicians, a tiny fraction of the more than 800,000 doctors in the US. While state medical boards have increased their discipline of doctors, the boards actually sanction very few physicians. In 2012, for example, fewer than one percent of actively licensed physicians were disciplined by state boards. Between 2010 and 2014, Ohio’s state medical board reviewed only about 35 doctors a year because of concerns about their overprescribing. State medical boards, Franklin said, lack the resources to scrutinize doctors and rarely act unless there is a complaint. When facing board scrutiny, “the doctors lawyer up,” and usually escape strong punishments, he said. That’s particularly true in states with laws that give doctors wide discretion in prescribing FDA-approved drugs. “It’s very hard for these boards to be effective,” he said. Indeed, it’s been difficult to police the few doctors who are the source of most of the overprescribing. But all the term really means is that you can’t crush the pills, so you can’t inject or snort them. Zuckerman and experts at her center have urged the FDA to do more to inform doctors about the label’s true meaning, and to apply more scrutiny when being asked to approve “abuse-deterrent” painkillers. As of mid-July 2017, the FDA had approved the “abuse-deterrent” label for eight opioid drugs. Related front page panorama photo credit: Adapted by WhoWhatWhy from pain scale (Tom Woodward / Flickr – CC BY-SA 2.0). There are 16 comments Our Comment Policy: Keep it civilized, keep it relevant, keep it clear, keep it short. Please do not post links or promotional material. We reserve the right to edit and to delete comments where necessary.